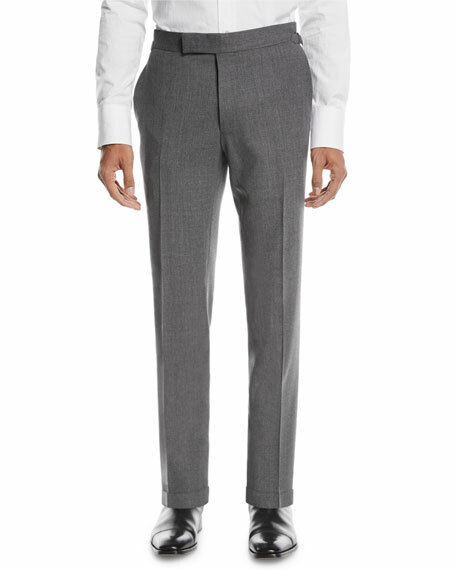 TOM FORD trousers in textured weave. Alexander Wang wide-wale corduroy pants. Quarter-top pockets; back button-welt pockets. High rise sits above waist. 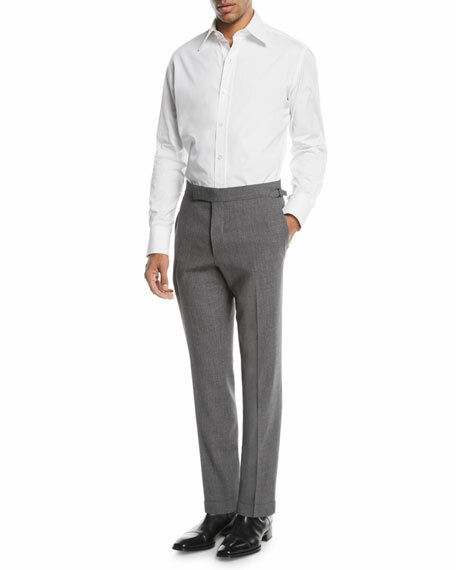 Flat front; tapered legs. Extended button-tab waist/zip fly; belt loops. Cotton. Imported. 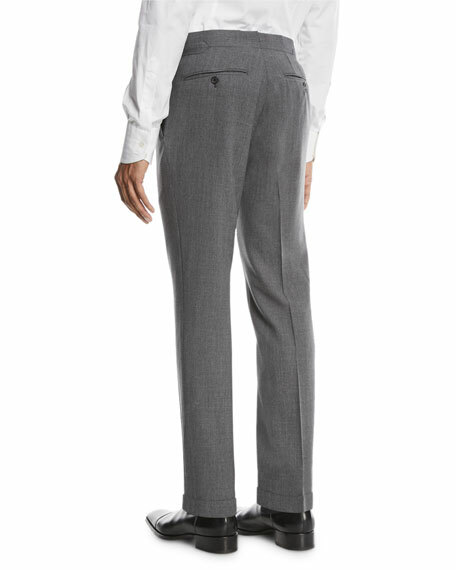 Model's measurements: Height 6'1"/185cm, waist 32"/81cm, typically wears size M.
EXCLUSIVELY AT NEIMAN MARCUS Incotex "Ray" lightweight cotton-blend pants. Five-pocket style. Standard fit features flat front, normal rise, and straight leg. Leather logo patch at back waist. Approx. 19.5cm leg opening. Button/zip front; belt loops. Cotton/linen/spandex. Made in Italy. Model's measurements: Height 6'1"/185cm, waist 32"/81cm, typically wears size M.